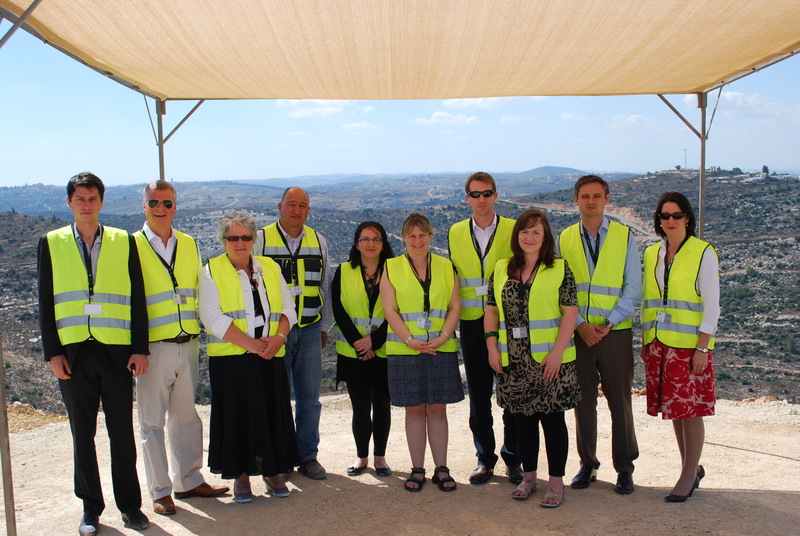 Labour Friends of Israel have just returned from a very successful week-long visit to Israel and the Palestinian territories with seven Labour Members of Parliament. LFI Chair John Woodcock MP, a Shadow Transport Minister, led the delegation, which included Rt Hon Anne McGuire MP (Shadow Work & Pensions Minister), Rachel Reeves MP (LFI Vice Chair and newly-appointed Shadow Chief Secretary to the Treasury), Jonathan Reynolds MP (LFI Vice Chair and newly appointed PPS to Rt Hon Ed Miliband MP), Dan Jarvis MP (newly appointed Shadow Culture, Media & Sport Minister), Michael McCann MP (member of the International Development Select Committee) and Pamela Nash MP (Chair of the All Party Parliamentary Group on HIV and AIDS). The delegation included tours of holy sites in Jerusalem’s Old City and the Galilee, the Yad Vashem Holocaust memorial museum, communities in southern Israel blighted by daily rocket attacks, the West Bank security barrier, Israel’s northern borders with Syria and Lebanon, and a new Palestinian city being constructed, as well as Ramallah. The group had numerous political meetings. In addition, they had the opportunity to meet with Israeli school children, journalists, non-governmental organisations and a centre of high-tech innovation in Tel Aviv.